The reason for fatigue can be difficult to pin down, be it due to an underlying illness, a mental health issue, or a new baby in the house. But fatigue is more than just tiredness. 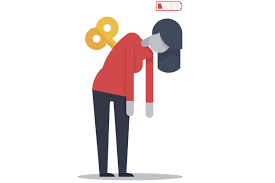 Chronic fatigue syndrome (CFS) or myalgic encephalomyelitis (ME) commonly affects the nervous, gut, cardiac, endocrine and immune systems causing a range of symptoms including aches and pains, chronic tiredness, concentration difficulties, mood instability, headaches and a susceptibility to infection. However someone doesn’t have to be experiencing CFS/ME to feel the pain of fatigue.